ThinOptics are the thinnest, lightest and most durable reading glasses in the world. 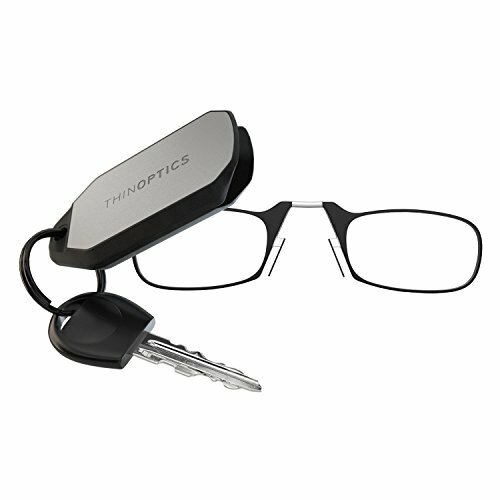 Attach the ThinOptics Keychain Case to your key ring, and your reading glasses will always be with you everywhere you go. Join the #ThinOptics legion of Amazon purchasers and reviewers who never forget their reading glasses. If you have any questions about this product by ThinOptics, contact us by completing and submitting the form below. If you are looking for a specif part number, please include it with your message.